Fancy trying out another free Doom game? If you have quick reaction times and love slaying demons DaggerHell Overkill is for you. Based on the gameplay found in the rather great simplistic FPS Devil Daggers, DaggerHell Overkill is a slight revamp of a previous release simply called DaggerHell. 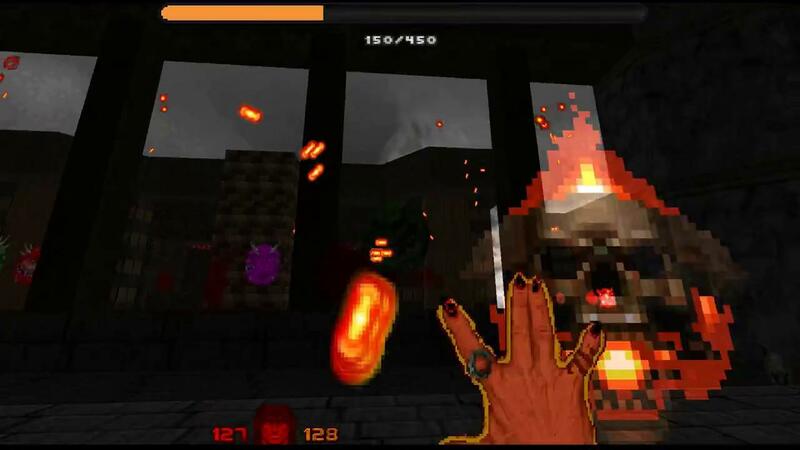 Fully playable with GZDoom paired with Freedoom, it features the same basic gameplay found in Devil Daggers with your magical hand shooting enemies like a machine-gun (hold fire) or like a shotgun (click fire). You can see a trailer below, although for the trailer the developer did use the Colourful Hell mod on top of DaggerHell Overkill. It's a bit manic, fast-paced and it can be a little difficult in places. I hope they continue improving it, as I like what I've seen from it so far. If you manage to get it working with some other interesting mods, do let us know in the comments. Find it on Mod DB. Well I think my WAD file collection just grew some more. I do really need to go through mine and clean it out though. Clearly needs more bullets flying around and more enemies.